Serving up a dessert that looks as fresh as it tastes is simple. At least that’s what our dipper extraordinaire Alice Ferguson tells us. Always buy your berries the day before or day of the event. 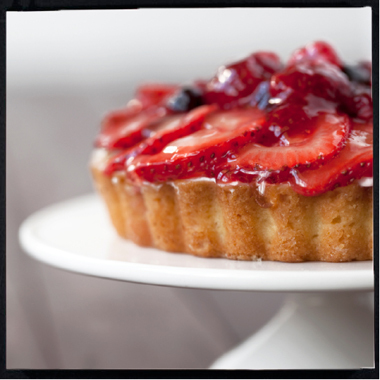 “Brush the skins with olive oil” suggests Alice, to give your berries a “richer look”. Choose a cool location for your dessert table and “arrange everything before the party starts”. So if your dessert menu features chocolate, you might want to scoot your bistro table over by that shady willow and out of the melting summer sun. 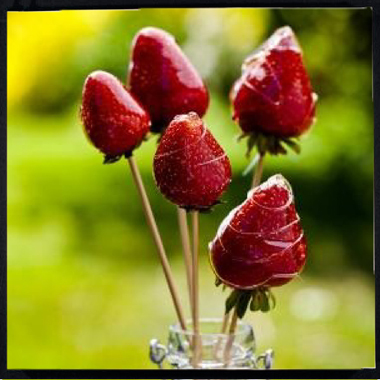 For a gardener friend’s birthday, Alice used skewers as stems and created a strawberry bouquet. Clear or colored glass bottles make the perfect vase. For inspiration, Alice recommends researching your party theme online. Her favorite resource: Pinterest. 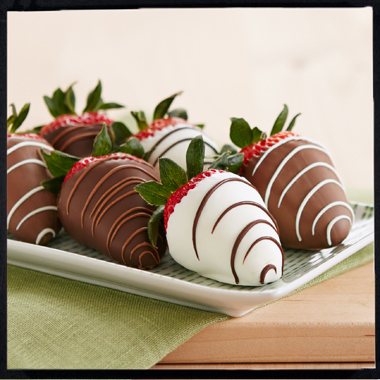 And of course, dipped berries always look (and taste) delicious.